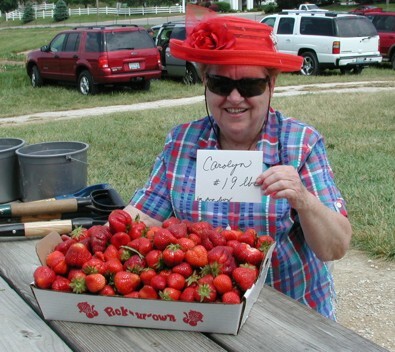 June 3, 2006: Carolyn said picking was so good that she could "not stop filling her box" with strawberries. Normally, we don't recommend filling a box quite this full. Don't you just love her red hat !